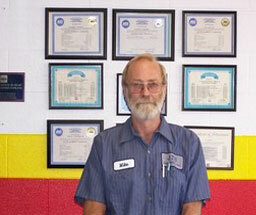 Tim has over 33 years of experience in automotive repair. 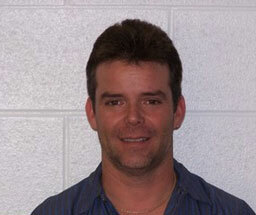 He is the proud father of four children and ten grandchildren. His favorite pastime is playing with the grandkids, farming, horseback riding, and getting together with friends and family for summer cookouts. 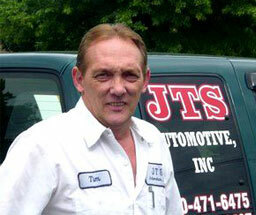 The best thing about being part of JTS Automotive is working with family, friends, and our great customers. April is our Office Manager and Tim's daughter. She has been with JTS Automotive since August of 1998. She maintains our bookkeeping, payroll, and customer relations. She is also a skilled Service Advisor, provides estimates, schedules appointments and shuttle service, and orders parts. April has been involved in almost every aspect of the company at some point. In addition, she is 'The Voice' of JTS that we all hear on local radio commercials. She will always greet you with a smile and is very easy to talk to. After your vehicle has been serviced at JTS, April will be the person to contact you to make sure you were happy with all aspects of your visit.